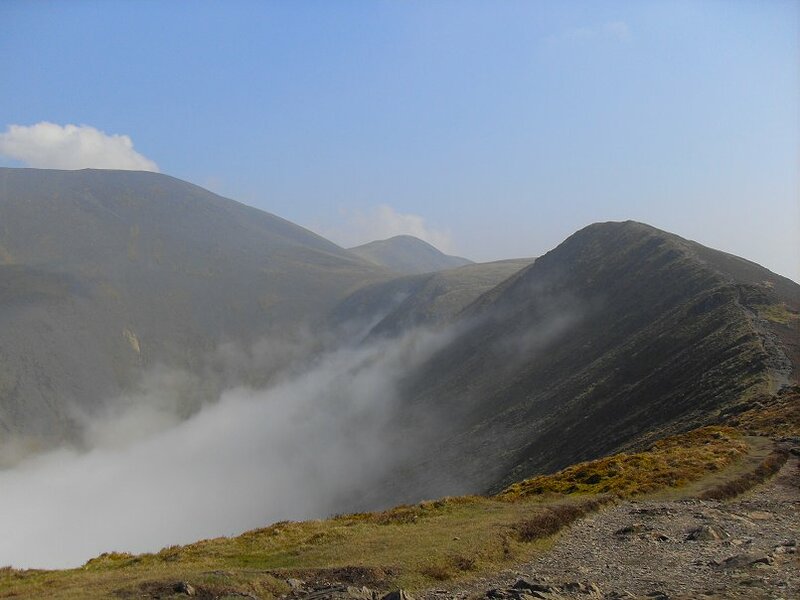 I went on a two day Wainwright bagging round starting with Ullock pike ridge ascent of Skiddaw. 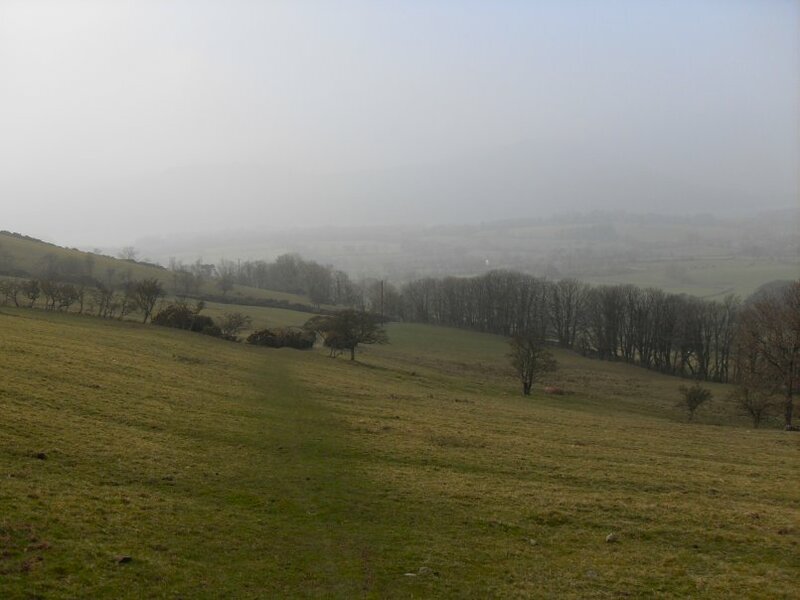 The wall to wall blue sky from yesterday had given way to low cloud and mist. 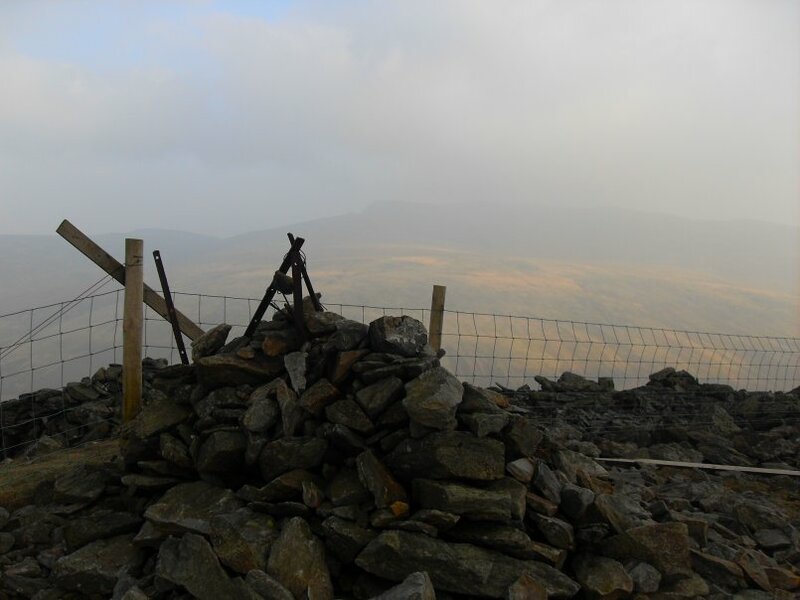 I set of in hope that the high fells would be clear. 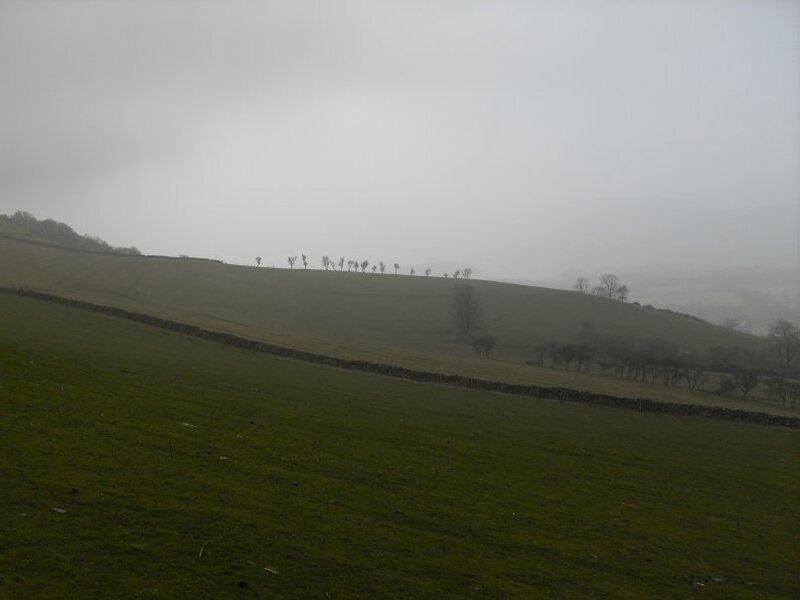 Crossing the field from the road up to the watches.. The start of the Edge. 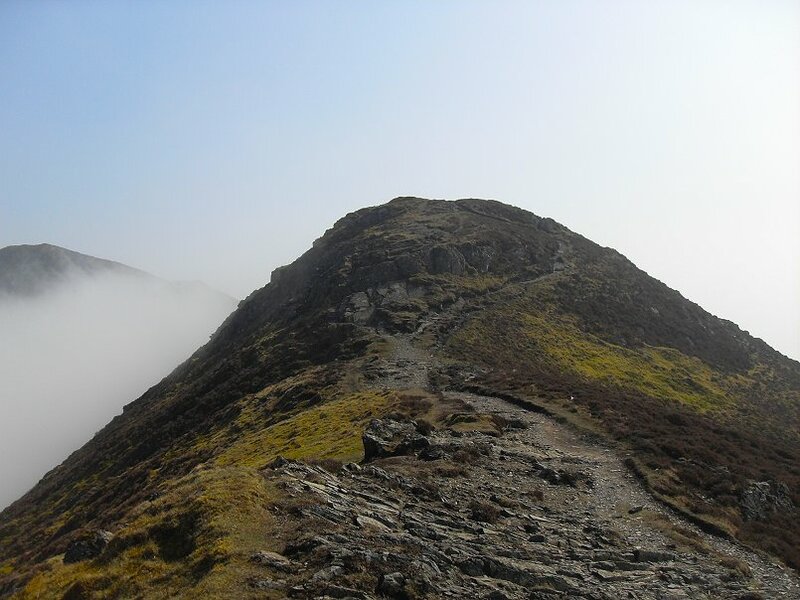 Nearly up to Ullock Pike and the sky starts to clear. Ullock Pike's main top from the false top. 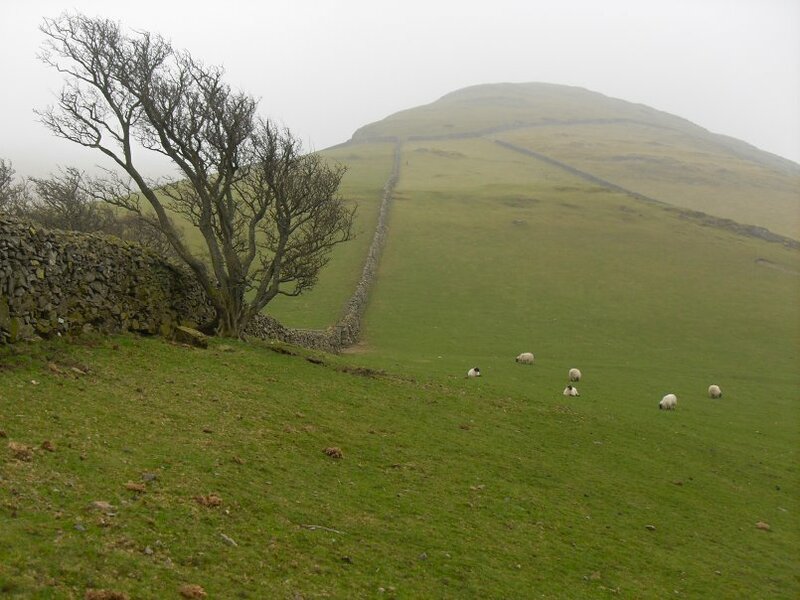 Looking along the ridge to Longside. 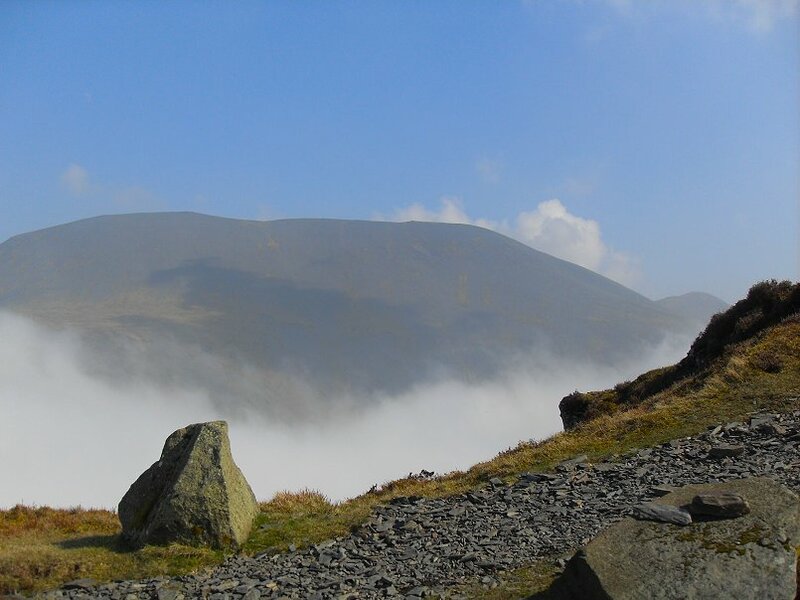 Skiddaw Little Man in the background. 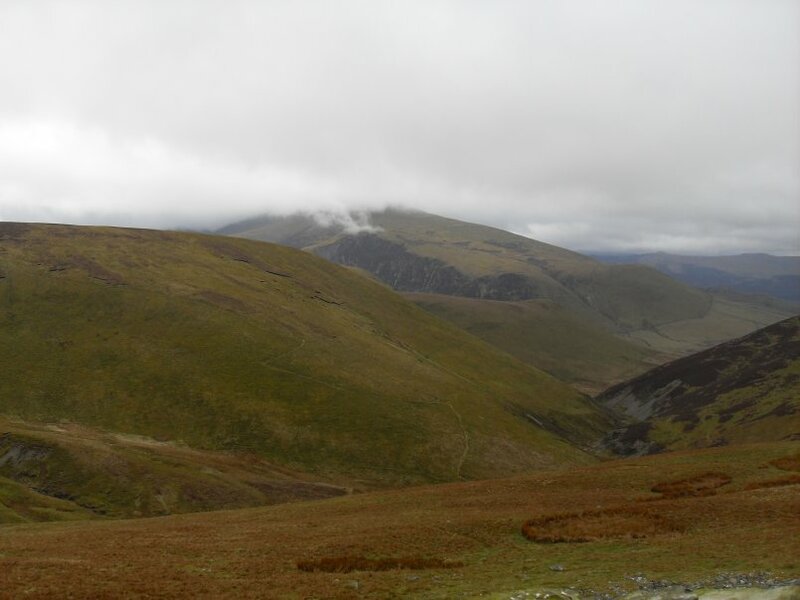 Skiddaw again from Longside Edge. After I took this photo my camera turned itself off and I realised that I had forgotten to charge the battery. 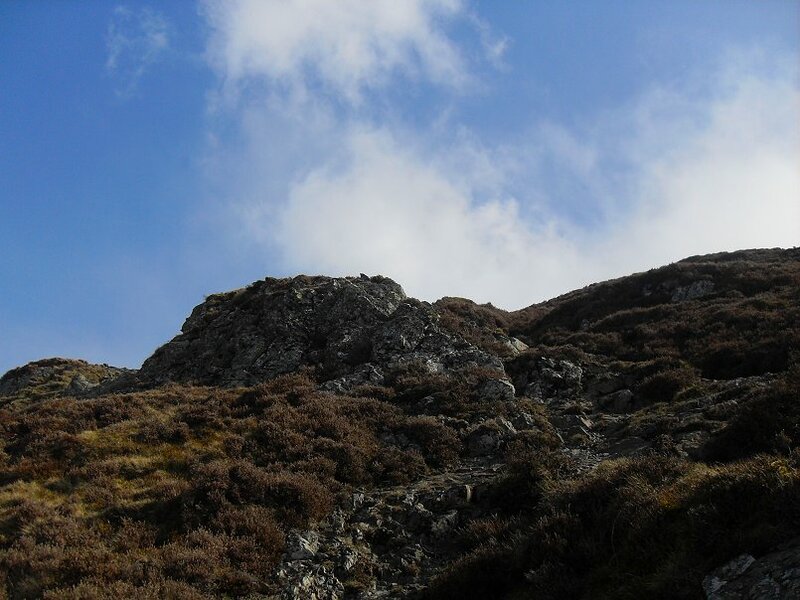 It was a good job I was alone on the fell as the air was as blue as the sky ! 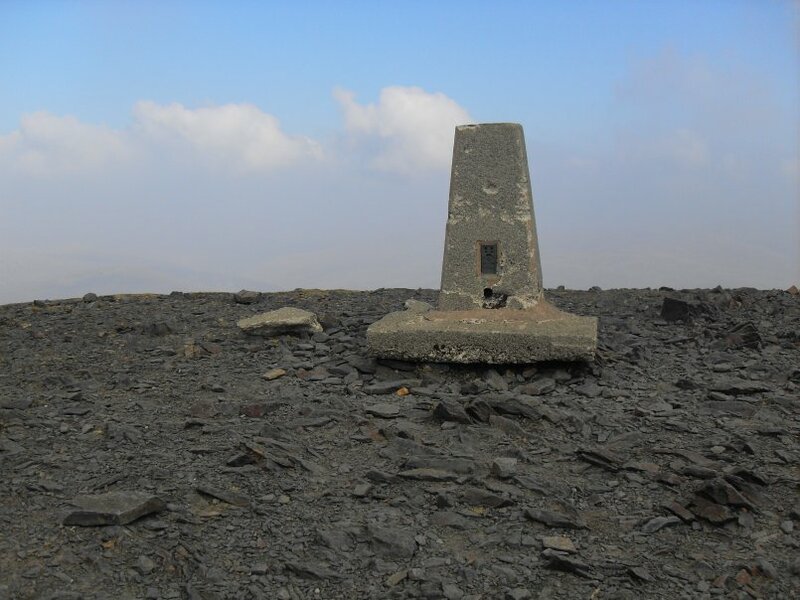 Skiddaw summit trig column. I managed to take a few more shots by taking out the battery and warming it in my pocket. 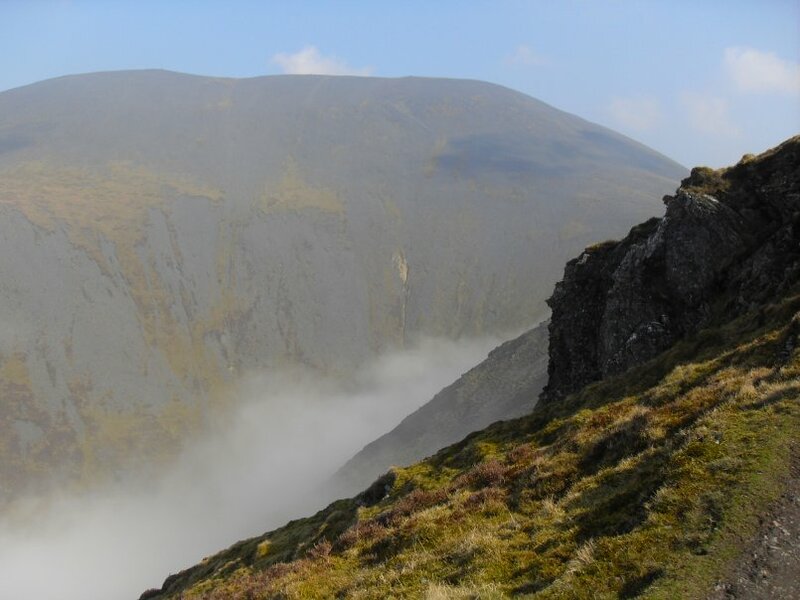 Great Calva summit with Blencathra in the haze.